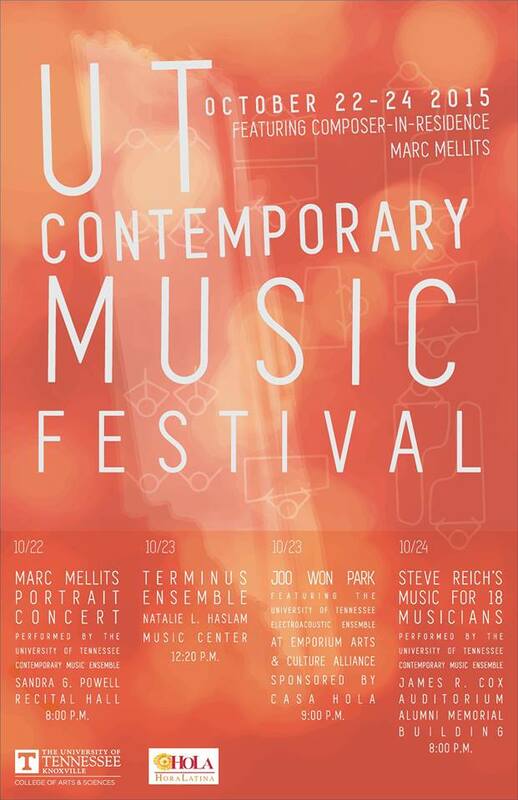 From October 22-24, Marc Mellits, Joo Won Park, and Terminus Ensemble will be joined by the University of Tennessee Contemporary Music Ensemble and the University of Tennessee Electro-Acoustic Ensemble for three days of fantastic new music on campus and in downtown Knoxville. It’s the University of Tennessee Contemporary Music Festival! Come join us!